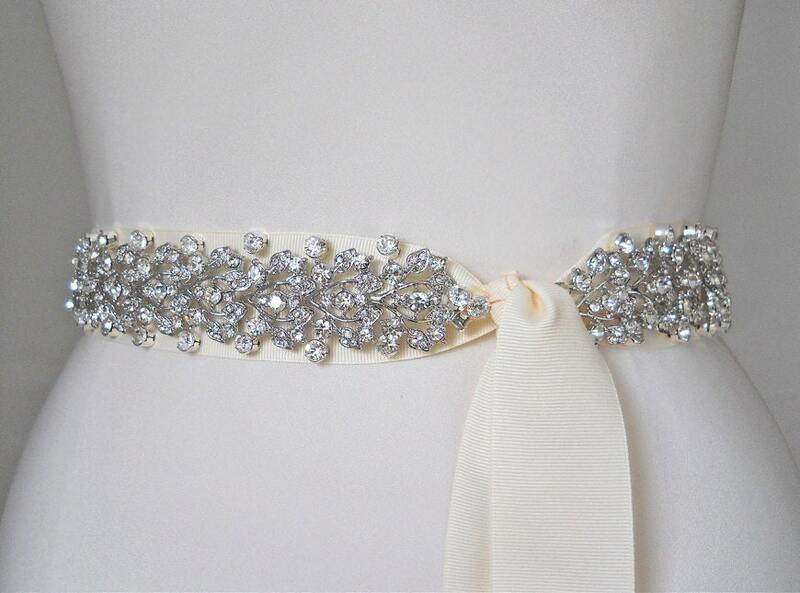 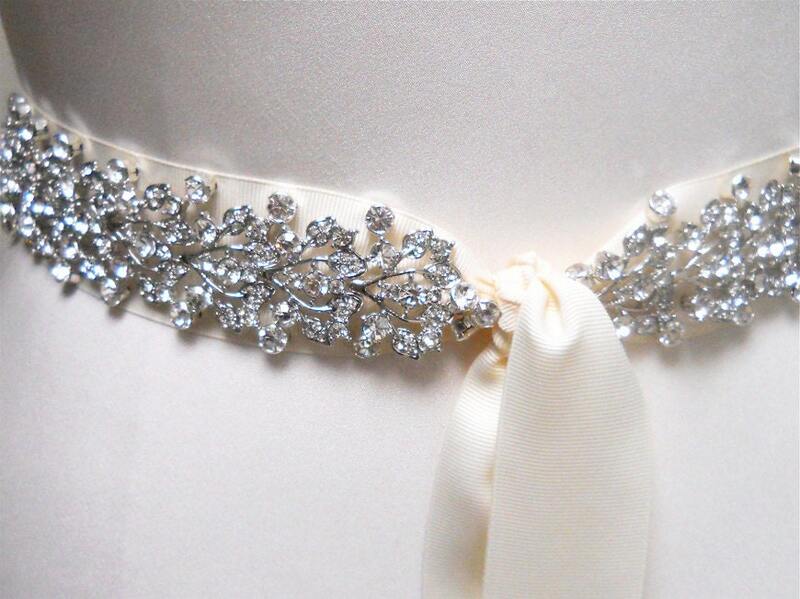 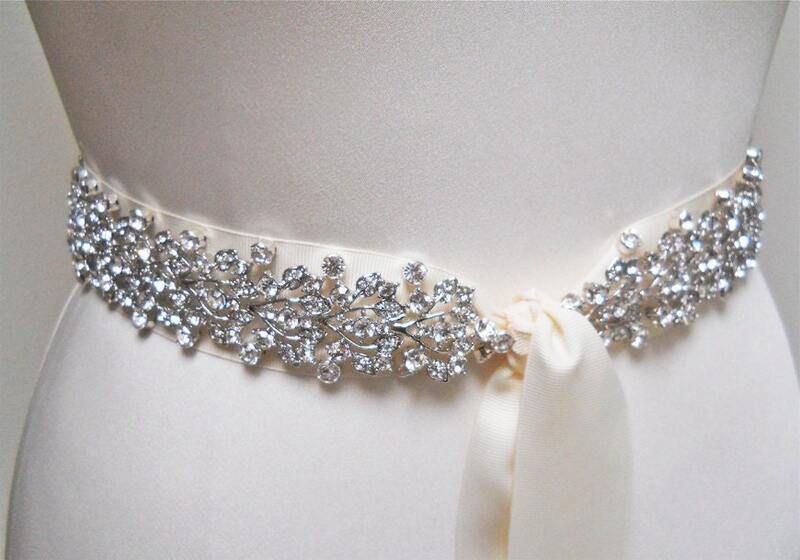 This sparkly belt is made with fine Austrian crystals appliqued on a 1 1/2" wide ivory grosgrain ribbon. 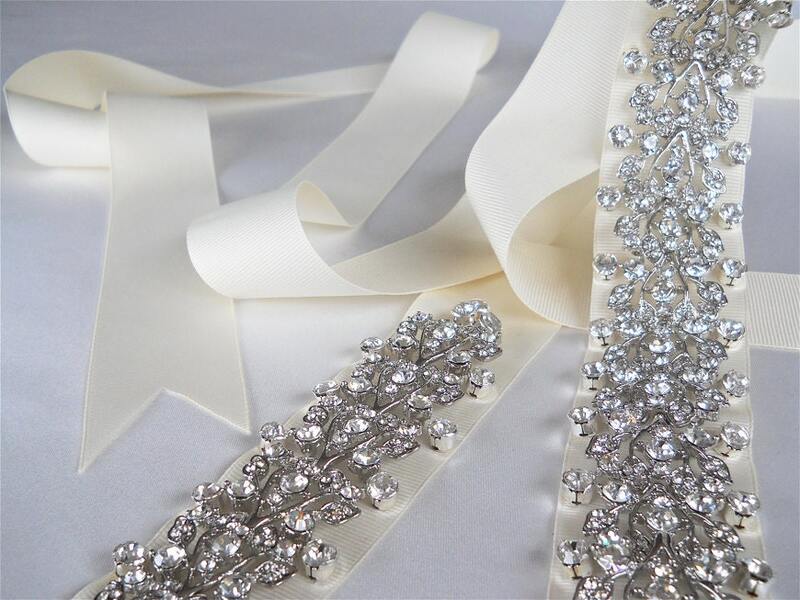 The crystal beading measures 1 1/2" wide and 26 1/2" long, while the entire sash measures 140" long. 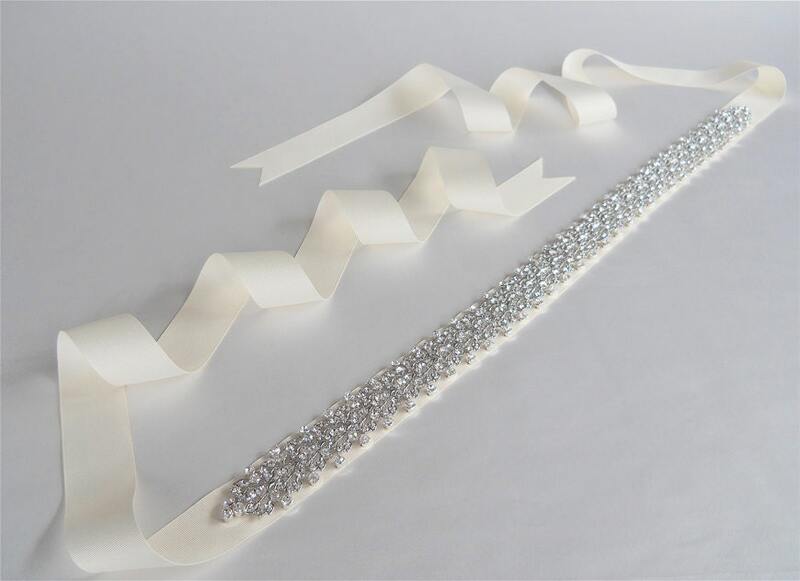 Available with grosgrain or satin ribbon and in gold or silver finish.